Colourful and unique, this pair of sterling silver shamrock button covers are meticulously made from hallmarked sterling silver and set with green enamel. 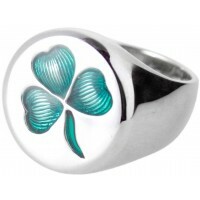 The shamrock, traditionally a symbol of Ireland and associated with St Patrick, is the central feature. 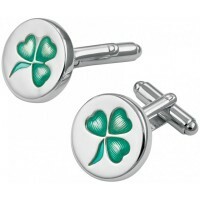 Why not gift these premium silver button covers for any special occasion or perhaps to pass on the luck of the Irish?